Connecting with other tribes can be a useful way to learn from others and share resources. Several networks are available for tribes to connect around the issue of climate change. Below are some links to tribal climate change networks in different regions of the west. 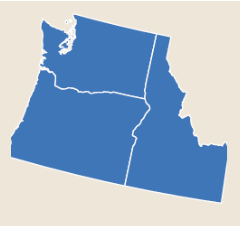 Established in 2009, the PNW Tribal Climate Change Network fosters communication between tribes, agencies, and other entities about climate change policies, programs, and research needs pertaining to tribes and climate change. The Network meets via conference call on the third Wednesday of each month. The website also includes a calendar of events that draws from multiple sources. The Network provides regular input into ongoing research, resource development and general efforts of the Tribal Climate Change Project. Participants in the Network have cited a critical need for coordination and collaboration between agencies and organizations to meet the needs tribes have in accessing climate change resources and information. 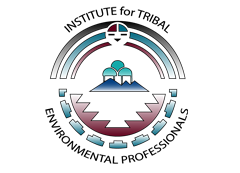 The Southwest Tribal Climate Change Network is a community interested in tribal climate change issues in the southwestern United States. Network members share resources and information that may facilitate tribal climate change efforts through monthly phone calls. The network is open to tribes, tribal organizations, agencies, and other interested individuals. The meetings take place on the first Wednesday of the month. Attendees can participate over the phone or through webcam via Zoom. The Northern Arizona University Institute for Tribal Environmental Professionals (ITEP) offers training to tribal environmental professionals to build their capacity to address climate change issues. The courses are taught by instructional teams that include staff from ITEP, federal agencies, universities, and/or organizations, and most importantly, the tribes themselves, who share their expertise and experience. You can learn more about the trainings and see a calendar of events at the ITEP training webpage. Programs to build capacity for tribes to respond to climate change. Both the Southwest and Northwest Climate Adaptation Science Centers (in collaboration with other organizations) have hosted climate change camps. 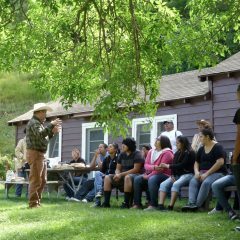 These camps bring together tribal members to learn about climate change and the ways in which they can strengthen their tribes response to the challenge. The camps provide training and tools and for tribal members to enhance their ability to work with local communities. The cost of participating in the camps is often covered by the sponsor organizations. Profiling climate change from a climate change perspective. 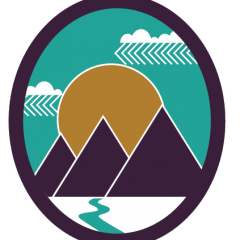 The Northern Arizona University Institute for Tribal Environmental Professionals (ITEP) has compiled profiles of tribes in the Pacific Northwest and Southwest. These profiles describe the tribes and include information about potential climate change impacts and actions the tribes are taking to reduce these impacts. This resource provides an opportunity to learn about tribes that are facing similar impacts or doing similar climate change work. Some profiles include tribal websites with climate change information and a contact person for the tribe.